Contract rearers, Gareth and Jan Jones, aim keep the heifers they rear on track, as every heifer which calves in the first month of the consignee’s calving period is worth a £70 bonus. 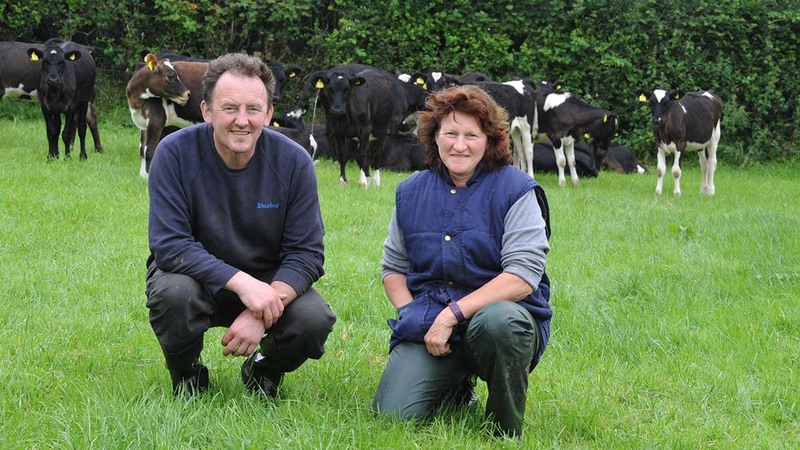 Former dairy farmers Gareth and Jan Jones, who have been contract rearing since selling their own dairy herd in 2009, take in 90 crossbred heifers for a spring milk producer and are paid a bonus for hitting calving targets. Before turning to heifer rearing, the couple were milking 60 cows on the 57-hectare (142-acre) Cefnrhyddlan Uchaf, near Llanybydder, Carmarthenshire, but it had become uneconomic at such a scale. Contract rearing was an attractive option, as they had the expertise and infrastructure, and it would provide an alternative income stream. That was eight years ago, and since then the Jones’s have reared all of that farmer’s replacements, receiving a payment of £1.25/head/day. The heifers stay on-farm for 21 months, so there are always two groups on site. Mr and Mrs Jones take delivery of youngstock as weaned calves at the end of April, when they are about 10 weeks old. At that point, animals have already been at grass for several weeks, so are well adapted to grazing. Heifer rearing is critical to the overall profitability of a herd, so it is important it is done well. While some rearing agreements require growth targets, their client’s main criteria is that heifers produce a calf at 24 months, preferably in the first four weeks of the calving period. This year, 60 of the 90 heifers calved in the first month. He says growth rates and the correct body condition are key to achieving good conception rates. Excellent grassland management and stockmanship ensure heifers return to the dairy farm in the right condition, and Mrs Jones checks the heifers once a day when she feeds them in the morning. 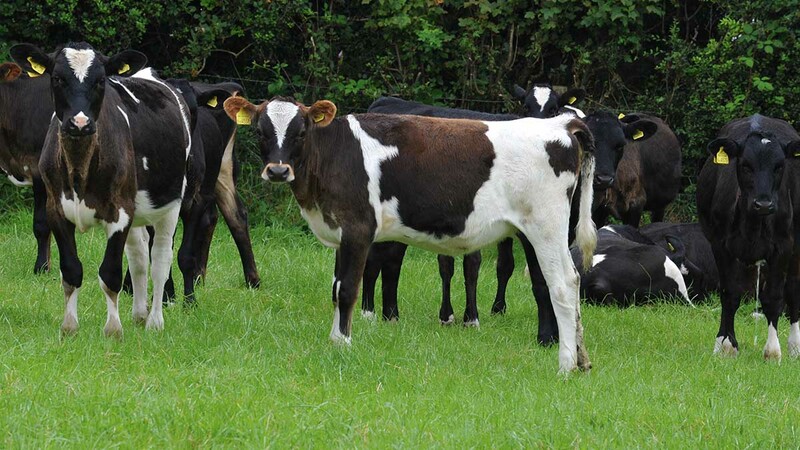 Achieving growth to hit target weights for breeding and calving is crucial and so is an excellent health status, so all heifers are dosed for worm control at five months old and again at housing. Mr and Mrs Jones pay for these treatments, as well as feed and veterinary intervention, while the owner is responsible for the cost of AI, freeze branding and scanning. Transport costs are shared, and each party will use their own transport to ship heifers to and from the farms, which are 26 miles apart. Payment is made at the end of the month. If there are mortalities, no payment is made for that animal for that month. In the last 12 months, there has only been one loss, which was due to an underlying health condition. In their first winter, heifers are housed in loose housing, while the in-calf group are wintered in cubicles, before returning to the home farm at the point of calving. Once the older group has left, at the end of January, younger heifers move into the cubicle shed. At housing, heifers are fed home-produced grass silage and barley. Some 20ha (50 acres) of first cut silage is made with a smaller second cut to clean up fields which have not been grazed. Heifers get through six tonnes of concentrates a year, but barley helps keep down the cost of feeding. However, the barley acreage has been reduced from 12ha (30 acres) to 8ha (20 acres) since the farm entered a Glastir Advanced Agreement, as there is a requirement for stubble to be left over winter, which means it cannot be reseeded. Disease control is not an issue because cattle from only one business are kept on the farm. Heifers are tested for TB before they are moved on and off the holding. Previous Article On-test: John Deere 6250R: David or Goliath?